5. Subordinate to other tasks assigned by leaders. 1. College degree or above. Majors in marketing, food, cooking and machinery are preferred. 5. Sense of responsibility and able to work under great pressure. 2. Responsible for the design of central kitchen. 3. 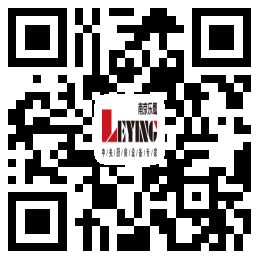 Experience in kitchen equipment industry, especially in central kitchen industry is preferred. 4. Enthusiastic, willing to learn, responsible, down-to-earth, able to adapt to 3-8 days of travel. 2. Proficiency in the use of office software such as SolidWorks, AutoCAD, office, etc. 1. Responsible for the application and development of product structure, mechanical design, technical support and guidance of installation and commissioning. 5. Participate in trial production tracking, assembly and commissioning, and mass transfer of products. 1. Basic command of the use of office software such as SolidWorks, AutoCAD, office, etc. 1. be responsible for the daily manual inspection of products, and mark the status of the products after inspection. 4. Summarize and count the inspection data every month. 5. Have a strong sense of responsibility, and can go to the factory for inspection whenever necessary. 2. be able to maintenance and repair the welding machine. 3. be cooperative, hardworking, honest and responsible. 2. More than 2 years working experience in installation electrician. 2. Study hard and be able to bear hardships and stand hard work, the overtime salary shall be counted separately.